Lovely small Blue Goldstone tumblestones, available in four different sizes. Blue Goldstone tumblestones are a stunning stone to look at; they almost look like a night sky full of stars. It has been one of my favourite materials since I first saw it – although it is not truly a crystal or a gemstone, but a man made form of glass. 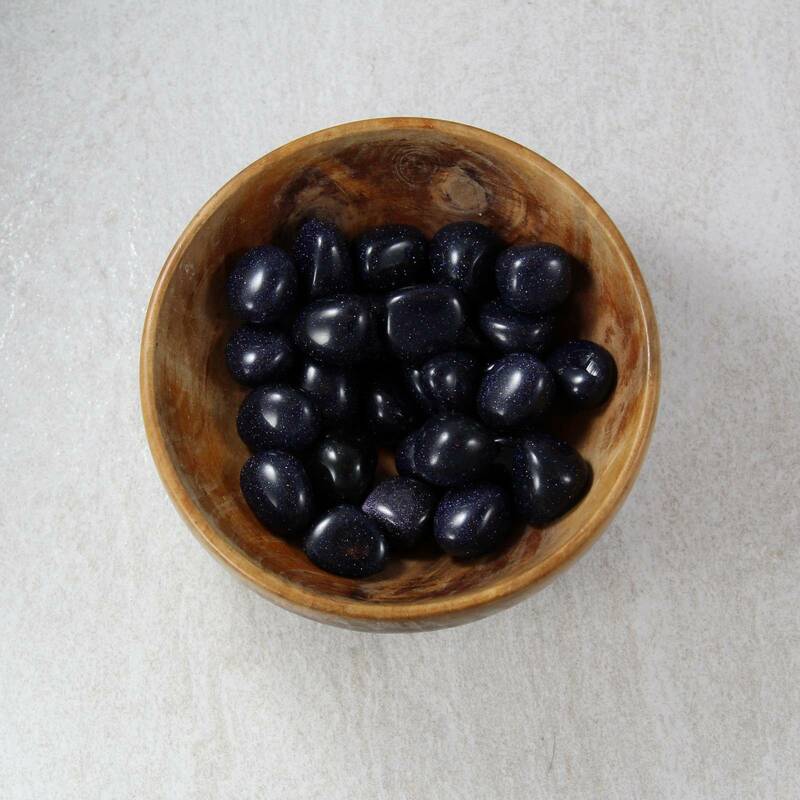 The tumble polished sheen on these stones is great; a high polish really shows off the shiny metal inclusions properly. 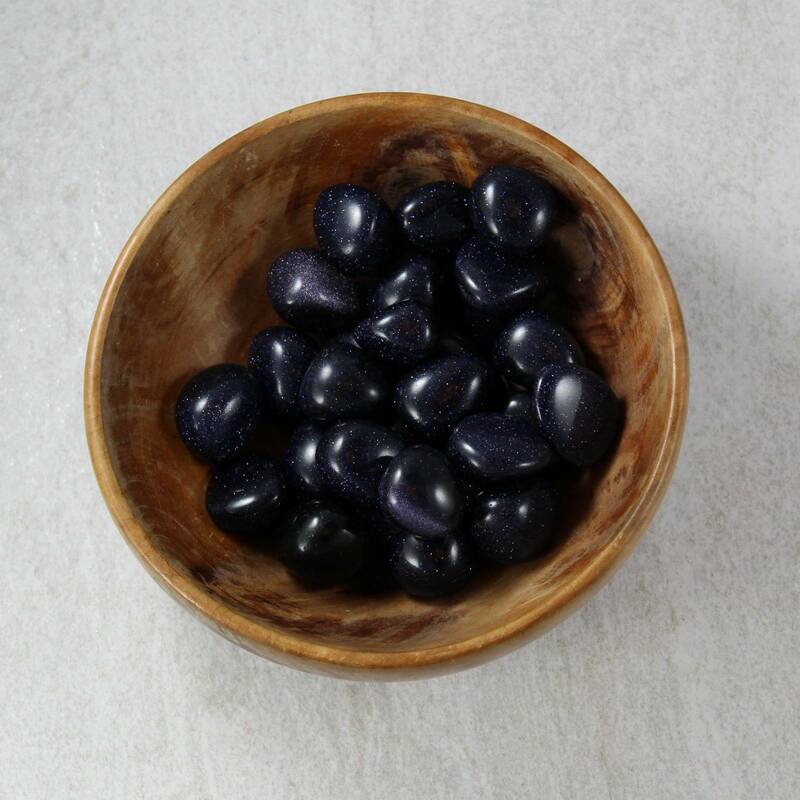 We sell a wide range of Blue Goldstone products, including a variety of sizes of tumblestones, carvings and decorative objects, as well as cabochons and pendants for jewellery. 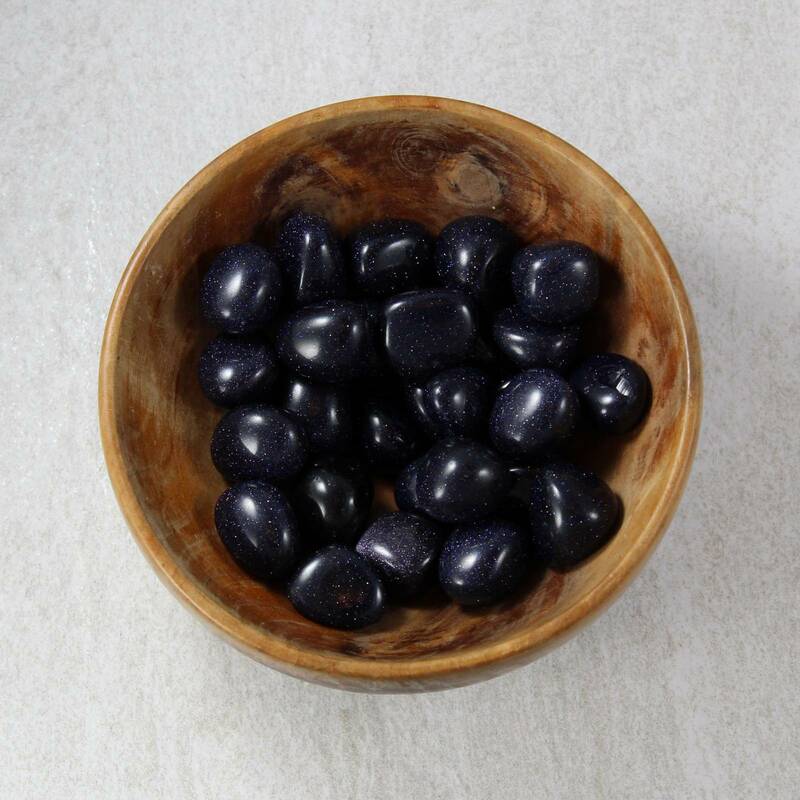 Please see our Blue Goldstone page for more information about the glass, and a list of our products.